ISLAMABAD: The country�s Gross Domestic Product (GDP) grew by five per cent during the first quarter of the current fiscal year as compared to only 2.9 per cent in the corresponding quarter of the previous fiscal year, according to the first quarterly report released by the State Bank of Pakistan (SBP). The report says that since macroeconomic indicators were favourable at the start of the year, the increase in real GDP growth in FY14 was discernible. The report suggests that in order to maintain the current growth momentum, and to take the economy to a higher growth trajectory, the government should speed up structural reforms in the fiscal and energy sectors. �Estimates for growth exceeded expectations: the GDP grew by five per cent during the first quarter of the FY14, compared to only 2.9 per cent in corresponding period of the previous fiscal year,� the report says. According to the report, a GDP growth of 4.4 per cent is the target for the full year 2014. Moreover, industry and services were the major drivers of growth, while agriculture performed below target. As the industrial sector revived, import pressures reappeared, especially for capital goods and raw materials. The import of petroleum, machinery, and metal was particularly strong, which increased the trade deficit by $0.6 billion during first quarter of the FY14 over the corresponding period of last fiscal year. Additional stress on the current account came from delayed inflows of coalition support fund (CSF) in FY14�s first quarter. As a result, the current account posted a deficit of $1.2bn in the first quarter of FY14, against a surplus of $0.4bn in the same period in FY13. Although worker remittances posted an impressive 9.1 per cent growth, this was not enough to cover the foreign exchange gap in other heads. The report said that repayments on external debt continued to exceed fresh disbursements while foreign investments remained shy. This caused a strain on the country�s forex reserves, which posted a decline of $1.2bn during the quarter. As a result, the local currency depreciated by six per cent against the US dollar during the first quarter of FY14, compared to only 0.3 per cent in the first quarter of the previous year. The report pointed out that headline consumer price index (CPI) inflation increased to 8.1 per cent in the Q1 of FY14, compared to only 5.6 per cent in the preceding quarter. In its monetary policy decision announced in September 2013, the central bank increased its policy rate by 9.5 per cent (or 50 bps). The step was aimed at curtailing the second-round effect of food inflation and the inflation expectations, as well as counter market sentiments following volatility in the rupee. According to the report, government borrowing from the central bank was more pronounced, as commercial banks did not participate actively in auctions of the Treasury Bills held during the quarter. 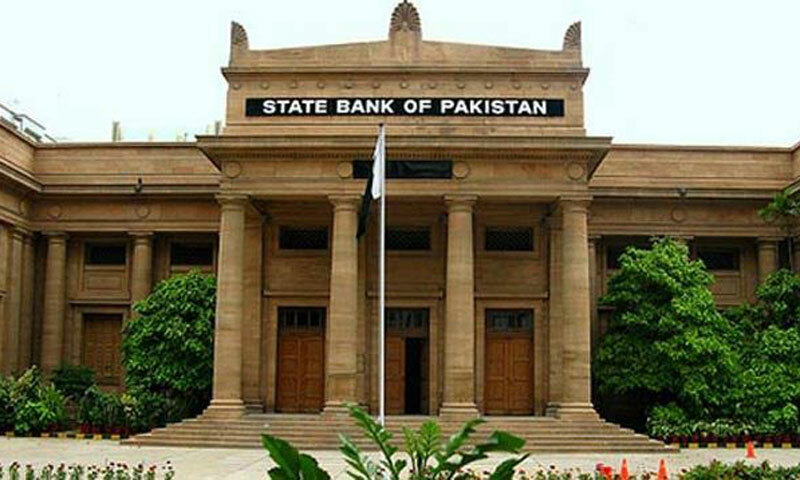 As a result, the government could not meet the limit of zero quarterly borrowing from the SBP, though its borrowings were well below the limit agreed with the International Monetary Fund (IMF). The fiscal deficit fell to 1.1 per cent of the GDP in the first quarter of FY14, from 1.2 per cent in the corresponding quarter last year. This improvement occurred on both the revenue and expenditure sides, the report says adding on the revenue side, it was the increase in tax rates and not the base which is responsible for higher collection during the quarter. Non-tax collections were also high due to certain one-off revenues, while on the expenditure side, a major positive was the reduction in interest payments, following the interest rate cuts in FY13. The report said that public debt posted a record increase of Rs1 trillion during the quarter. This increase, however, does not represent the fiscal imbalances alone, which recorded only a modest increase. Instead, this increase can primarily be traced to large revaluation losses associated with the external debt stock due to adverse exchange rate movements during the period. According to the report, there is a corresponding need to rebalance the maturity profile of Pakistan�s domestic debt. The growing prominence of three-month instruments in the outstanding volume of T-bills requires attention because this exposes the financial system to interest rate and roll-over risks. The report also suggests that in order to maintain the current growth momentum, and to take the economy to a higher growth trajectory, the government should speed up structural reforms in the fiscal and energy sectors. By focusing on these sectors, the government has signalled that its priorities are correct. Moreover, the report urges the government to manage long-standing issues in a sustainable manner, as these issues have restricted the growth to remain below potential.